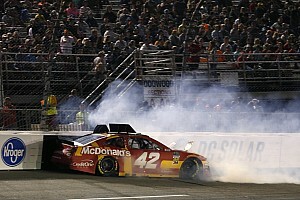 Joey Logano edged Denny Hamlin in a side-by-side battle to earn the Stage 2 victory at Martinsville (Va.) Speedway. Kyle Busch ended up third, Martin Truex Jr. was fourth and Kurt Busch completed the top-five. Also collecting stage points were Ryan Newman, Chase Elliott, Clint Bowyer, A.J. Allmendinger and Brad Keselowski. 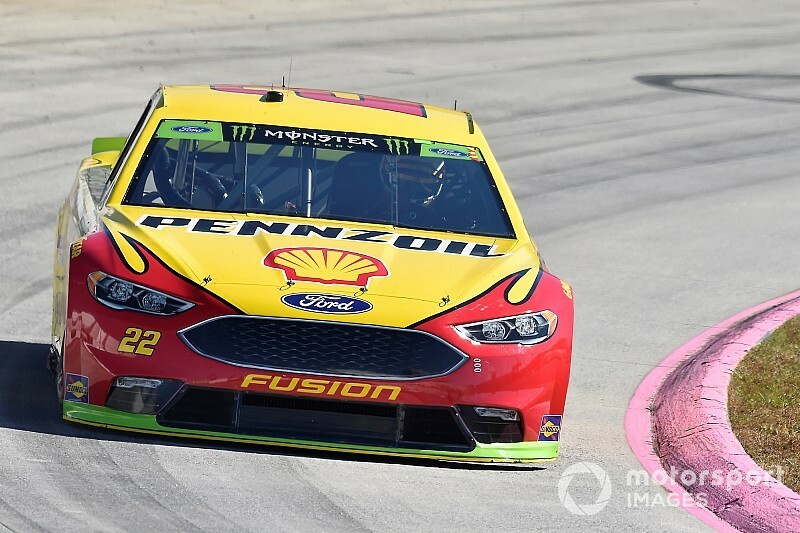 Following the break between Stages 1 and 2, Logano was the first off pit road and took over the lead when the race went green on Lap 140 of 260. During pit stops, Bowyer slammed into William Byron as Byron was about to enter his pit stall, sending the No. 24 Chevrolet for a spin. Ryan Blaney had to restart from rear of the field after receiving an uncontrolled tire penalty. 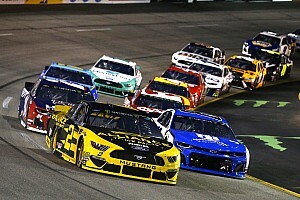 With 100 laps remaining in the second stage, Logano maintained a small advantage over Kyle Busch. They were followed by Kurt Busch and Hamlin. On Lap 179, Truex – who started the race from the rear of the field – moved into the fifth position. With 60 laps left in the second stage, Logano had opened up a more than 1-second lead over Kyle Busch. Kurt Busch was running third, Hamlin fourth and Truex fifth. On Lap 225, Truex got around Kurt Busch to grab the fourth position as only 17 cars remained on the lead lap. Regan Smith fell off the pace on Lap 235 but made it to pit road with NASCAR needing to call a caution. Austin Dillon also pit under green on Lap 239 with what appeared to be a broken sway bar. Dillon was also penalized during his stop for speeding on pit road. With 12 to go in the stage, Hamlin got around Kyle Busch and into the runner-up position behind Logano.